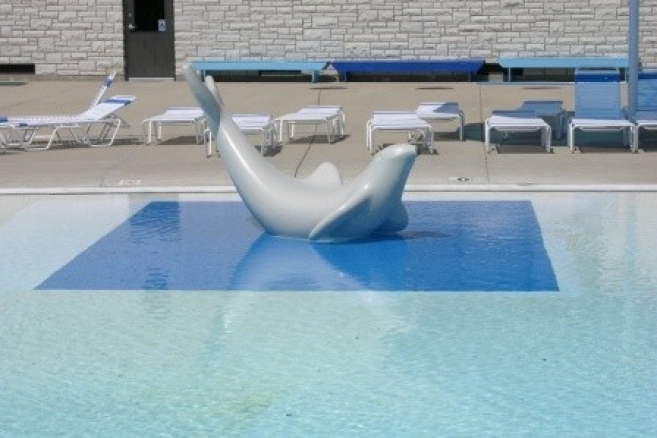 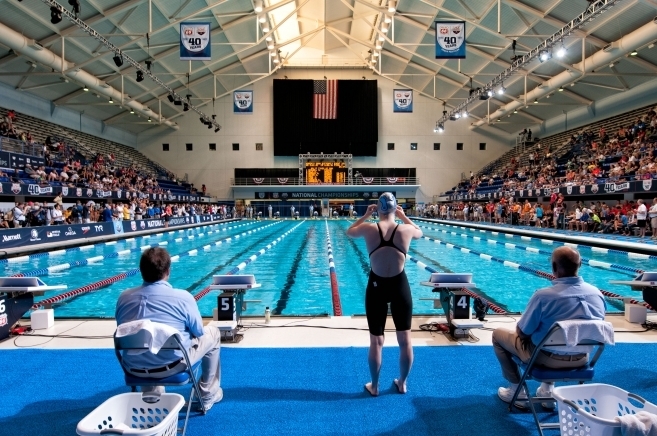 Aquatic facilities present unique challenges to facility operators. 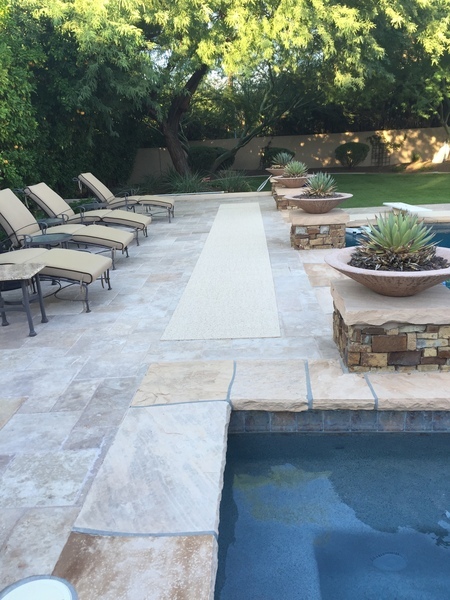 Traditional pool decks often utilize tile or concrete flooring that can withstand wet conditions and be cleaned easily. 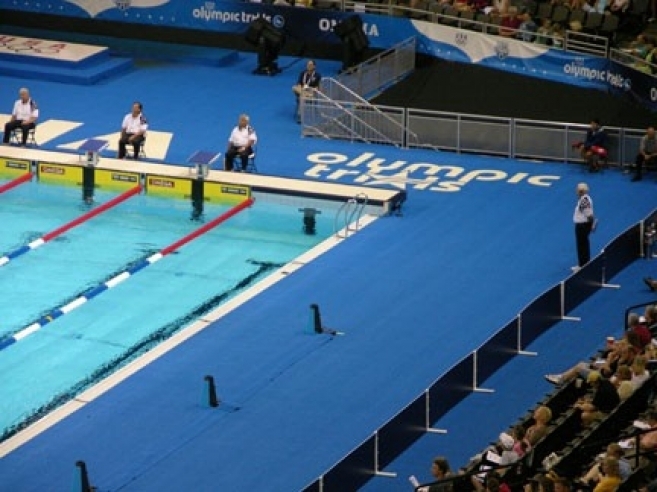 Unfortunately, when wet, these surfaces often become very slippery and dangerous. 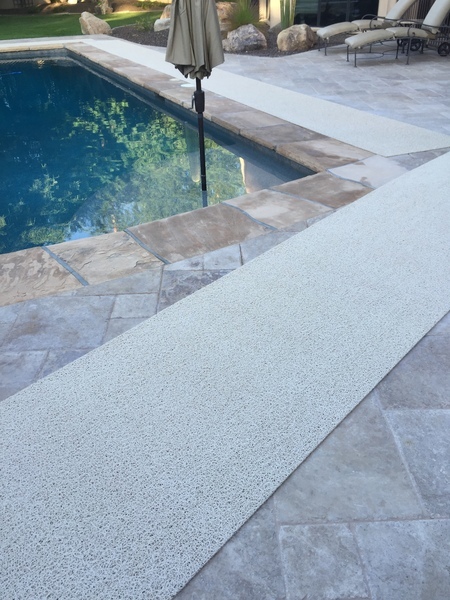 PEM slip-resistant aquatic flooring and pool deck matting addresses these concerns and provides a safe, slip-resistant surface for pools and other aquatic areas. 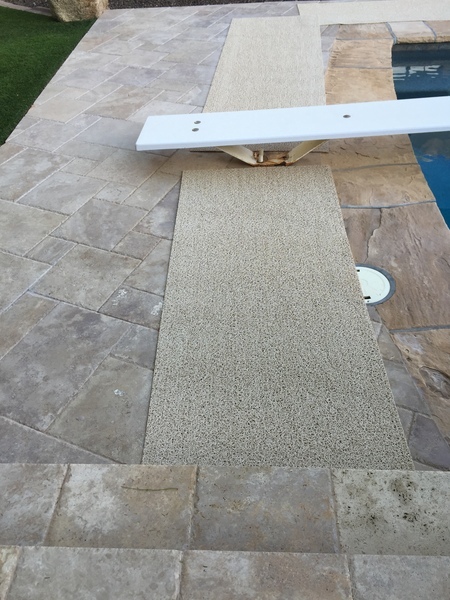 PEM wet area flooring is specifically designed to combat against slips and falls around pools, decks and patios, the soft textured surface provides both stability and comfort while the permeable, vinyl mesh mat design drains quickly and eliminates puddling. 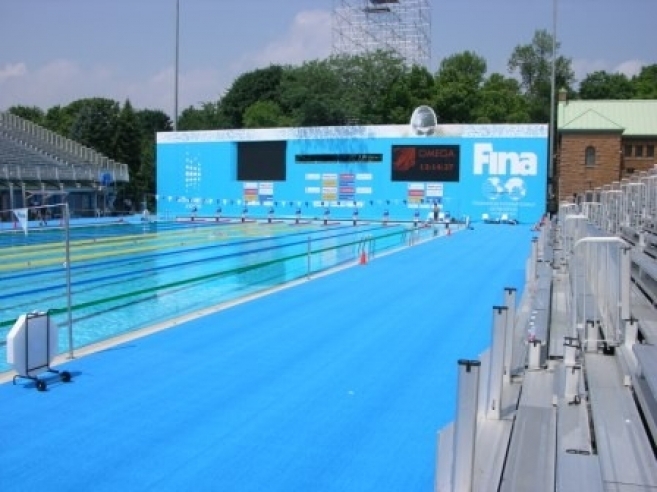 PEM has been the trusted supplier of wet area flooring solutions for thousands of pool and facility operators around the country, check out what customers have to say about our wet area matting. 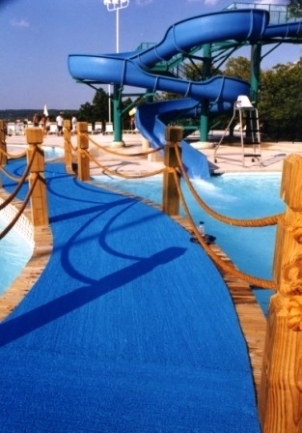 Antimicrobial formula guards against the growth of mildew, fungi, and bacteria. 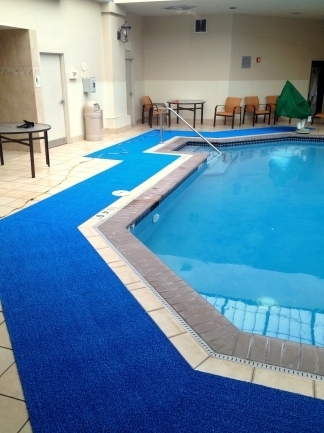 Designed for spas, restrooms, locker rooms and pool decks, Lightweight Matting features a lighter construction for easy cleaning and handling that makes it ideal for wet area mats & runners where daily cleaning is necessary. 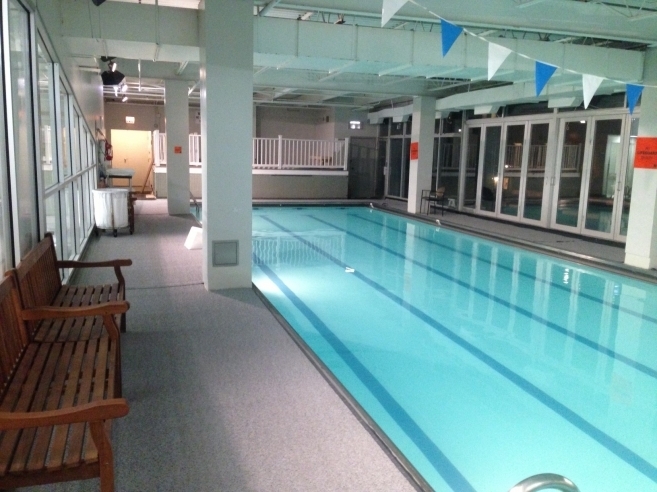 The additional porosity makes it ideal for indoor applications. 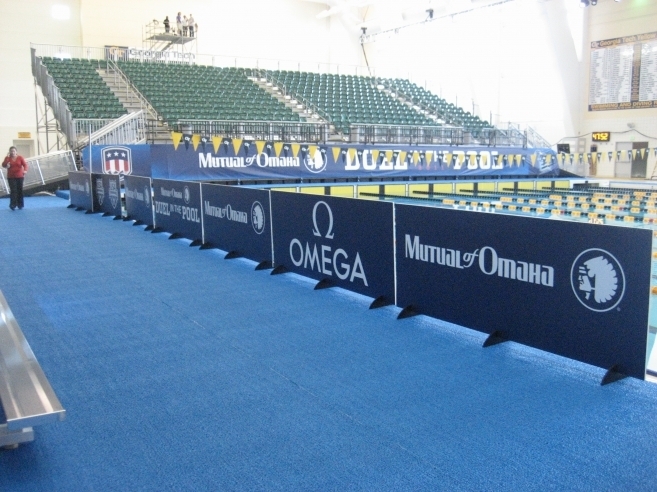 All Lightweight Matting rolls are stocked in Blue, Sandstone, Grey and Hunter Green. 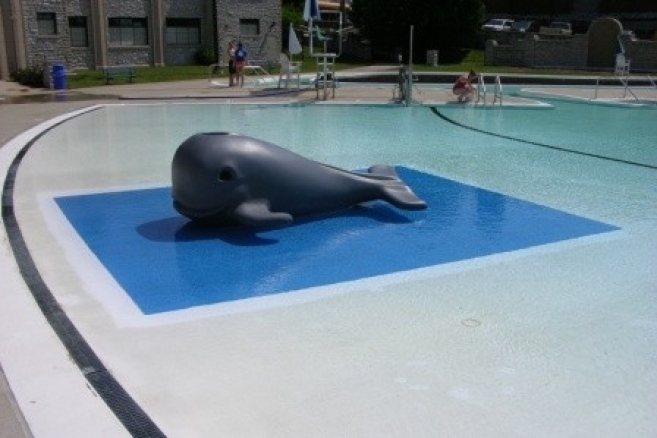 Designed for docks, patios, swim platforms, life guard chairs, concession areas, outdoor pool decks, steps, bridges, walkways and underwater applications around water play equipment, its thick construction provides additional padding and durability for long-term wet area flooring applications. 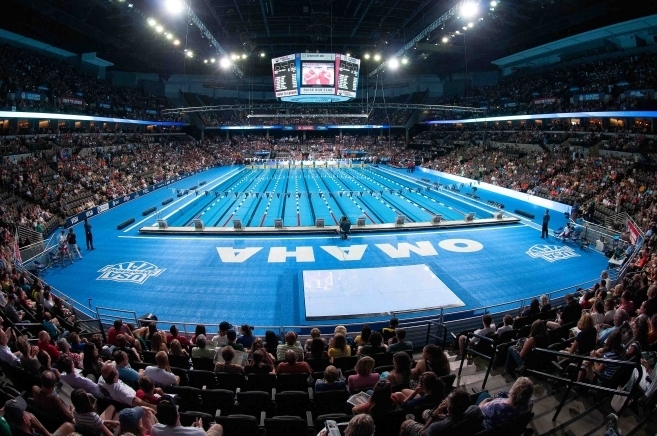 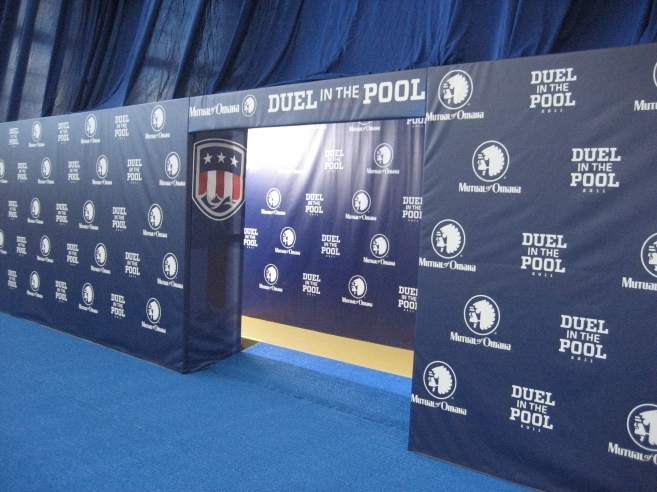 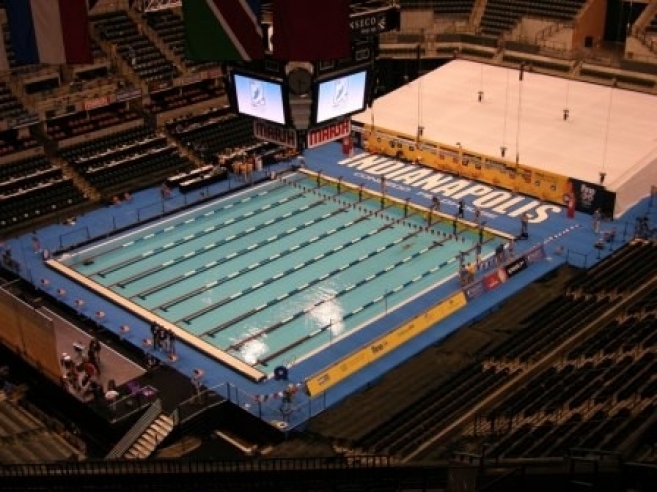 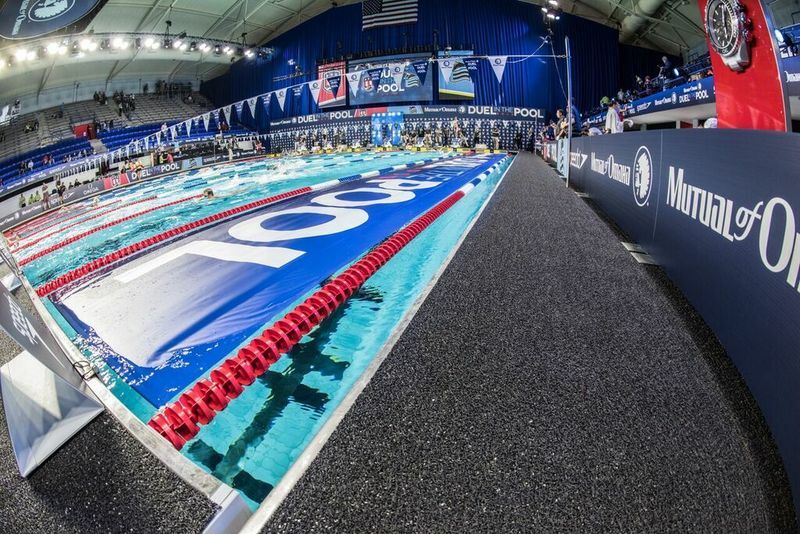 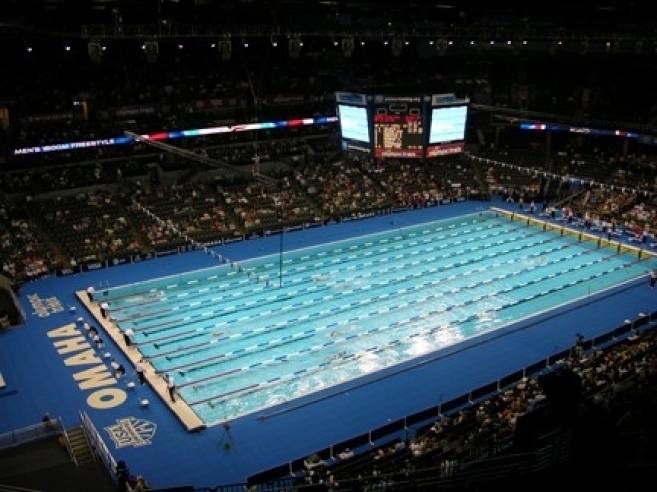 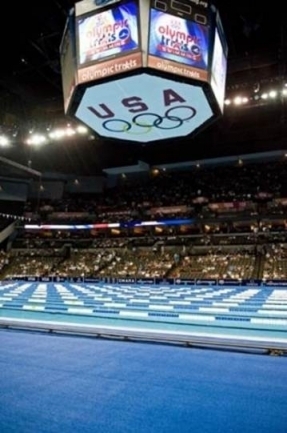 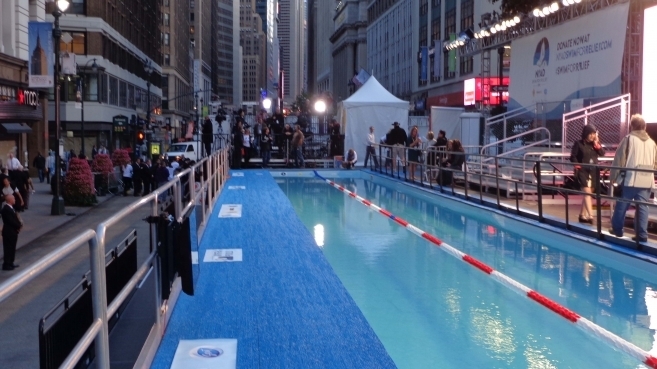 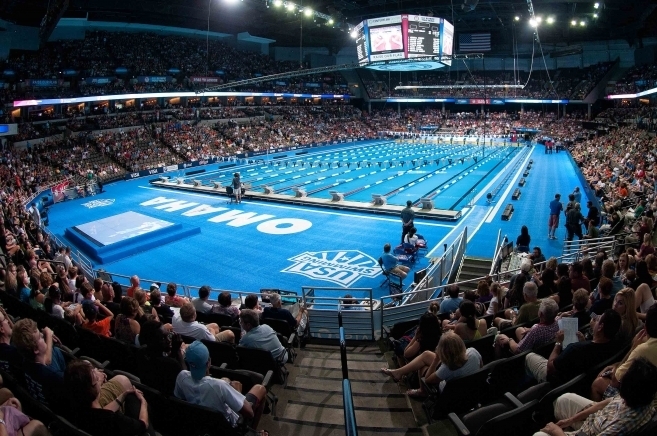 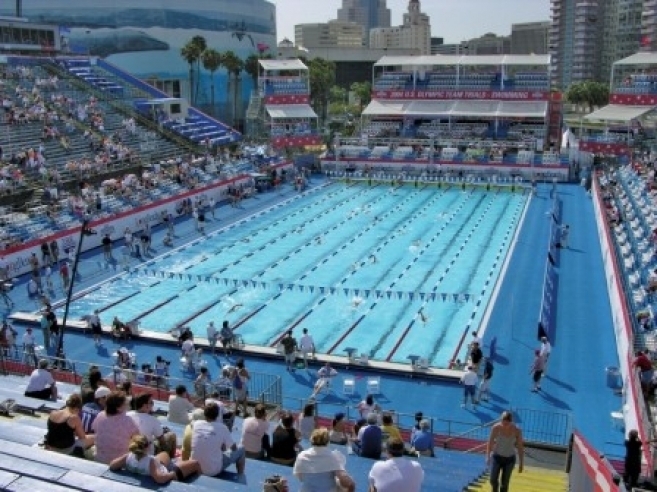 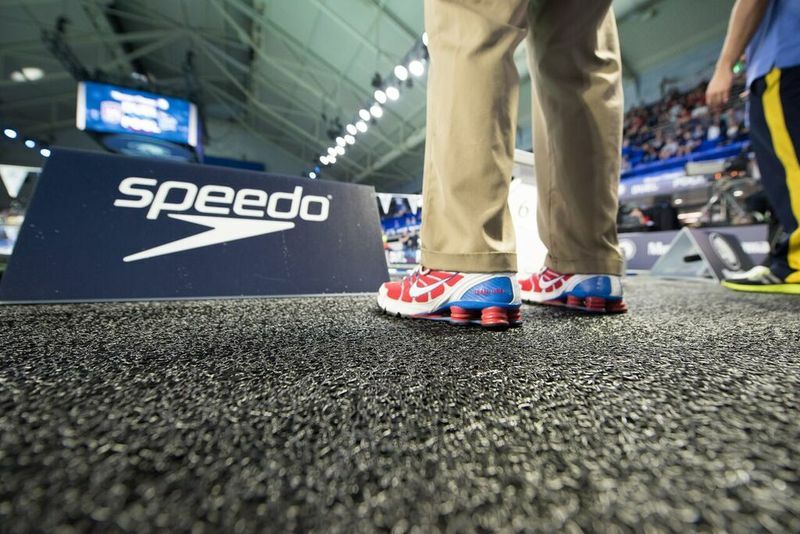 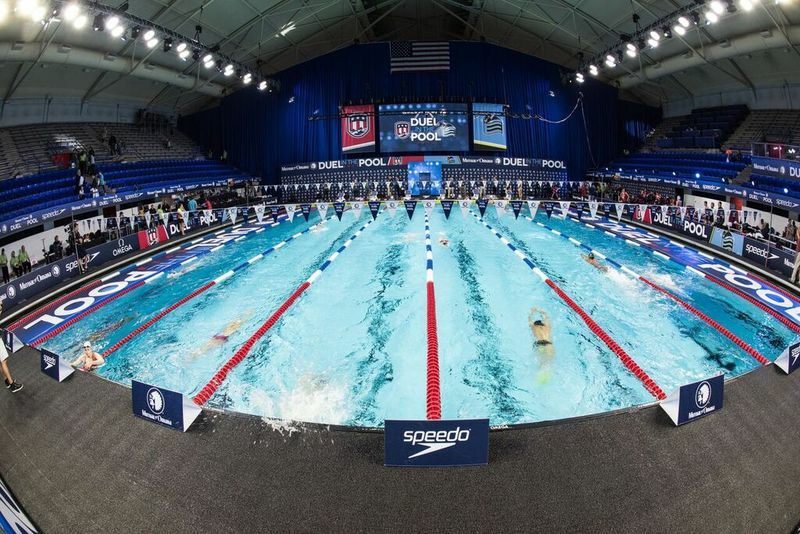 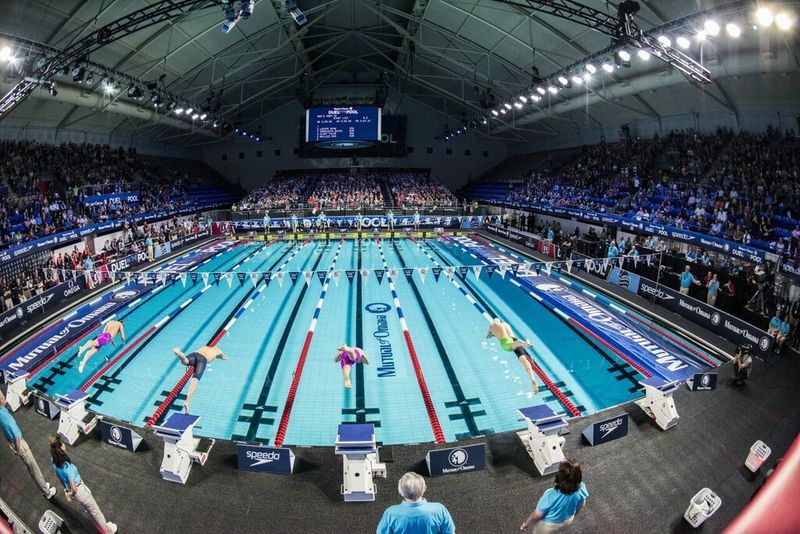 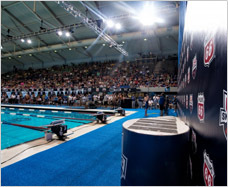 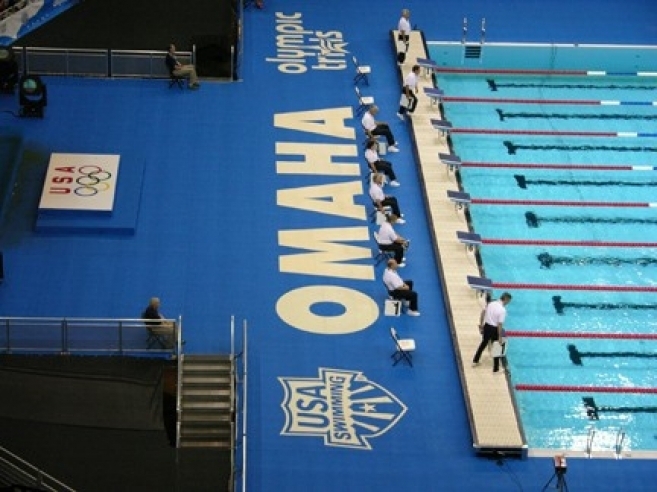 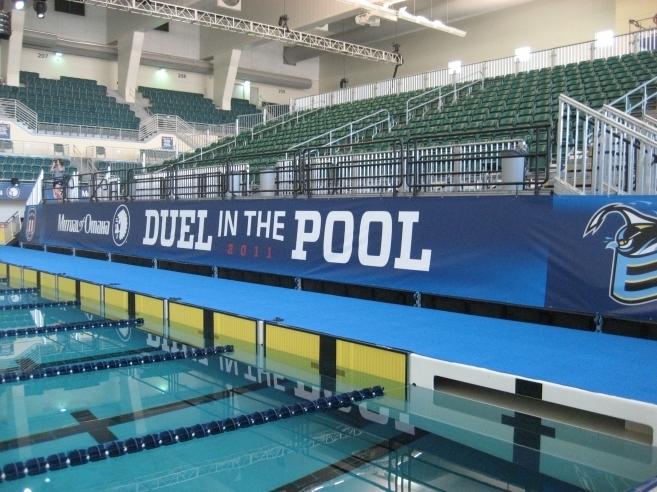 "PEM Aquatic Matting has been the perfect slip resistant solution for USA swimming events. 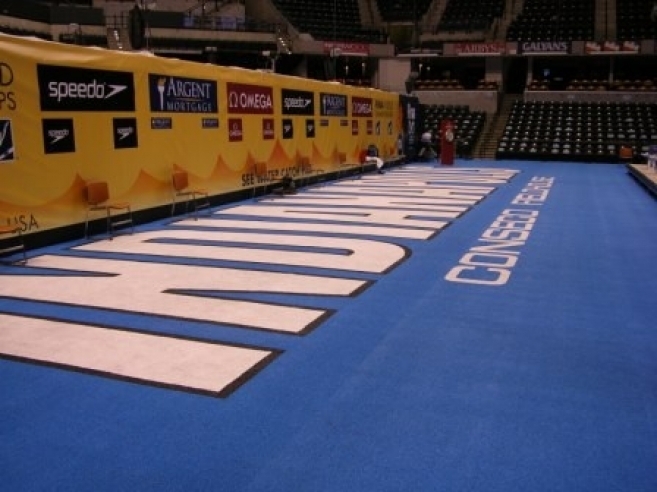 The matting has furthered our brand image and increased on-air visual appeal, all while protecting our world-class athletes. 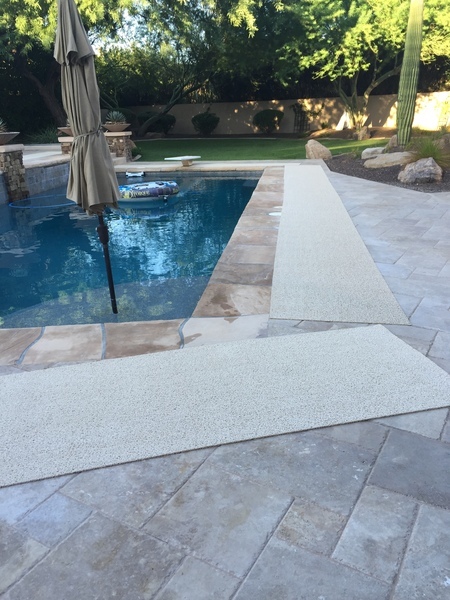 No other surface cover could match PEM's combination of design features, safety benefits, and durability."